The Arri 150 Watt Fresnel is a compact light source with location-tough construction and a 2" (50 mm) Fresnel lens. This fixture is equipped for 120VAC operation. The Arri 300 Watt Plus Fresnel is designed to gather as much light as possible and direct it through the 3.2" (80 mm) low expansion, borosillicate fresnel lens producing a soft, even field of light. This fixture is equipped for 120 Volt AC operation. 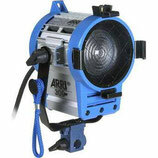 The Arri 650 Watt Plus Fresnel features smooth focusing, and a bright, even beam. The beam angle in the flood position is 52°, and a narrow 14.5° in the spot position. 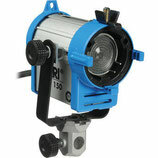 This fixture is equipped for 120 Volt AC operation. 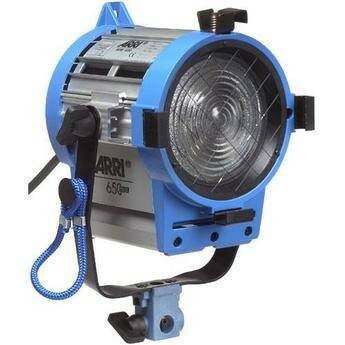 Sharing all the same features, size, weight and accessories as the Arrilite 650, each Arrilite 1000 provides beam angles ranging from 65° in the flood position to 24° in the spot position. 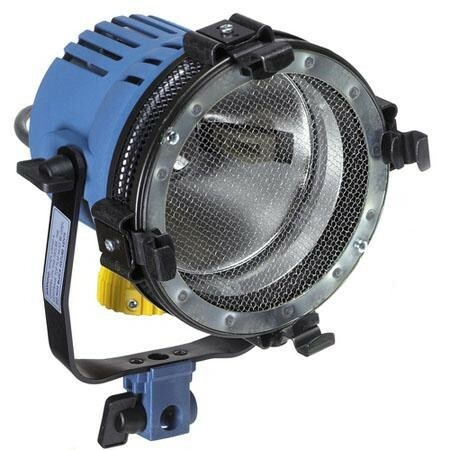 This 1000W fixture will throw a 695 footcandle beam 4.3 feet (1.4m) in diameter on full spot, from a distance of 10 ft (3m). On full flood it generates a 145 footcandle beam 13 feet (4m) wide from the same distance. 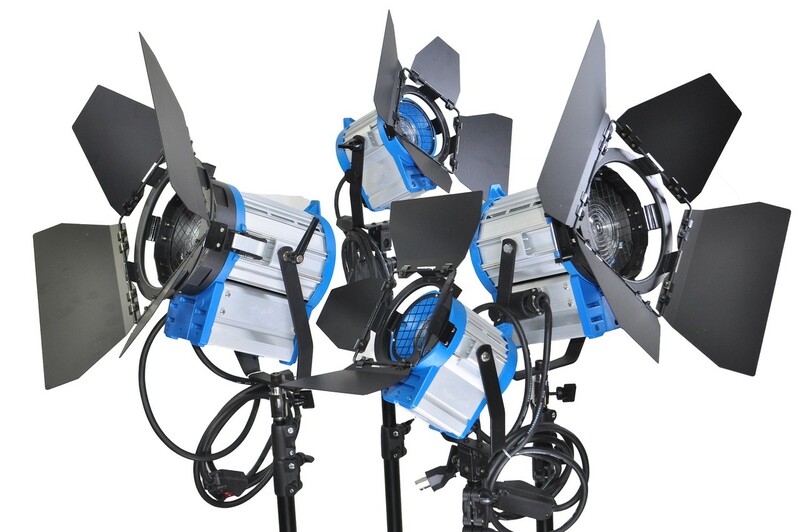 This kit includes (1) Arri 150, (2) Arri 300 and (1) Arri 650 Tungsten Fresnel Lights with case and stands.